Sights are still on Shasta Lake browns! We fished Shasta Lake this weekend and had a pretty good bite going, both days. We averaged two browns per angler and caught a good number of rainbows on top of the browns. There seems to be a new trend of some smaller browns holding where the big boys were a week or two ago. That tells me the big browns are on the move and its time to start dragging some new water. The best fishing is in the 25-30' range and the Optimizer spoons trolled at 3.8 mph are on fire! Its been a great fishery since November and We'll continue to catch big browns throughout summer. New opportunities for bigger rainbows and some King salmon in Shasta are going to fill some of my trips in the weeks to come. 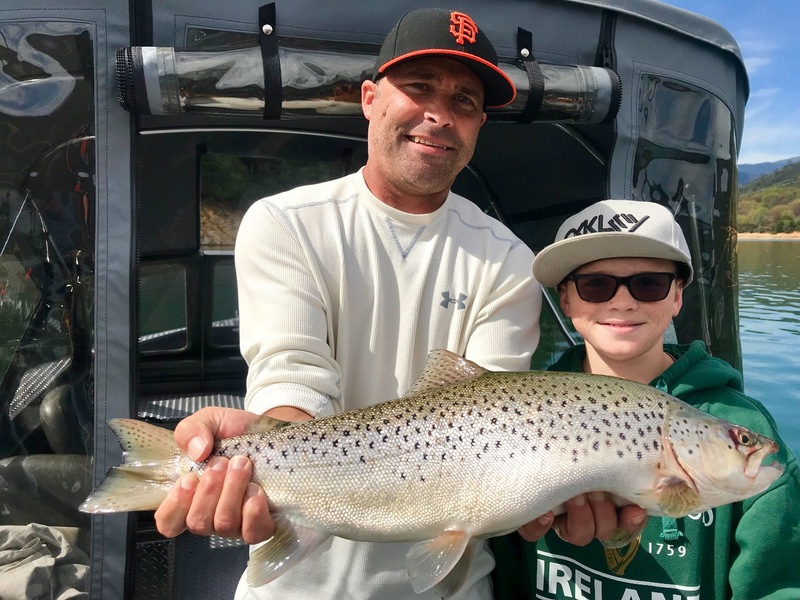 Remember, July thru September is when the big rainbow trout fishing is best and its undoubtedly one of the best trips available during that timeframe on Shasta Lake.